(308242) 2005 GO21 was discovered by the Siding Spring Survey on April 1, 2005.
that yield a period of either 5.5 h or 11 h, so we have updated the SNR estimates below to reflect this. All else being equal, the SNRs will be stronger than we originally guessed. Note added on June 18: Goldstone images on June 17 suggest that the rotation period is about 11 hours. 2005 GO21 will encounter Earth at ~21 lunar distances (0.0439 AU) on June 21. 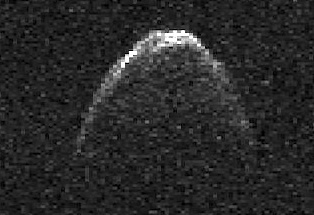 This is its closest approach until June of 2029 when the asteroid will be at a similar distance from Earth. 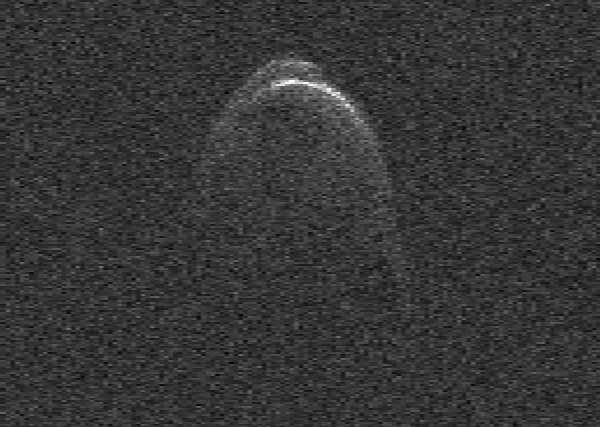 2005 GO21 will be an excellent radar target at Goldstone and an outstanding radar target at Arecibo. With the new information about the rotation period, we expect bandwidths of about 15-30 Hz. strong enough for imaging at 0.05 usec (7.5 m), which is the finest range resolution available at that telescope. the month it will be too close to the Sun for optical observations. 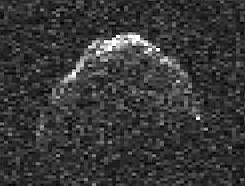 2005 GO21 has been classified as a "Potentially Hazardous Asteroid" by the Minor Planet Center. 413 Siding Spring. Observer R. H. McNaught. 1.0-m f/8 reflector + CCD. R. H. McNaught. 0.5-m Uppsala Schmidt + CCD. From 16 observations 2005 Apr. 1-5. NOTE: TXON is shown at the earliest time, which is only 30 min into the precal time. These show actual times of Arecibo transmissions but do not include precal or postcal time at DSS-13. Pie Town (NM),  Los Alamos (NM), and at the Owens Valley (CA). s49 update from Arecibo (1 new delay). No change in any of the VLBA predict files, which continue to use s47. reported since the start of the radar experiment. for both Arecibo and DSS-14. We will start with solution 49.
the same configuration we used on June 22 (40 usec PRP). monitor logs at Arecibo to coordinate observations at DSS-13. DSS-13 will use ONLY solution 47.